Bring your style to the party by wearing casual outfits and sets by Inserch. Inserch is the label for the grown man who likes to dress stylish and isn't afraid to show it. 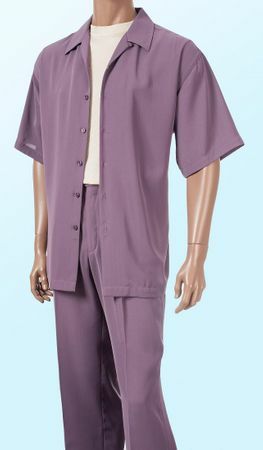 This all purple short sleeve walking outfit is not only clean looking but what Inserch is all about. Made of fine high spun poly microfiber with pleated pants. Regular Fit.